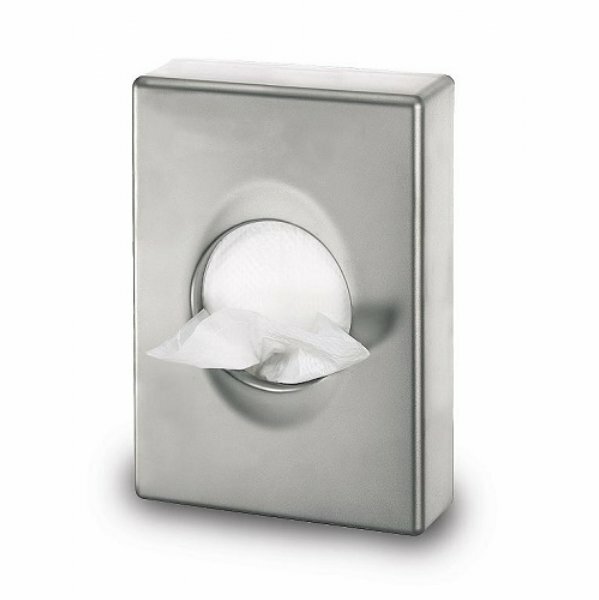 These smart white plastic hygiene bag holders are an elegant solution for holding sanitary bags. Taking a carton pack of approx. 25 small white bags they are easy to fix with an adhesive sticky backing. The holders do not come with any white bags, so order these cartons separately. Dimensions: 14 x 9.7cm (LxW).